You are browsing the archive for 2019 January 03. Islam has existed in North America for hundreds of years, ever since enslaved people captured in Africa brought their religion over. 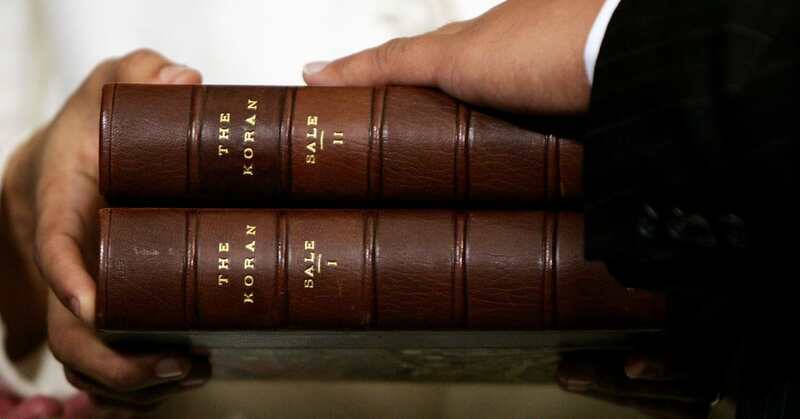 In the 1700s, an English translation of the Quran (or Koran) actually became a bestseller among Protestants in England and its American colonies. One of its readers was Thomas Jefferson. Jefferson’s person copy of the Quran drew attention recently when Rashida Tlaib, one of the first two Muslim entering Congress in 2018, announced she’d use it during her swearing-in ceremony. It’s not the first time a member Congress has sworn in with it—Keith Ellison, the first Muslim Congressman, did so in 2007—yet its use highlights the long and complicated history of Islam in the U.S. When Jefferson bought his Quran as a law student in 1765, it was probably because of his interest in understanding Ottoman law. It may have also influenced his original intention for the the Virginia Statute of Religious Freedom to protect the right to worship for “the Jew and the Gentile, the Christian and Mahometan, the Hindoo, and infidel of every denomination,” as he wrote in his autobiography. This professed religious tolerance was probably mostly theoretical for Jefferson. At the time, he and many other people of European descent likely weren’t aware of how far Islam extended into parts of Africa not controlled by the Ottoman Empire; which means that, ironically, they might not have realized that many enslaved people in North America held the very faith they were studying. The Schiedam was a pirate ship for a period of time in between its life in the Dutch East India Company and its time in the English fleet. It wrecked in 1684 off the coast of Cornwall in England while transporting English munitions; and recently, two hand grenades still filled with gunpowder from that ship have washed up on a beach. The pair of 17th century hand grenades were made with iron shells and filled with gunpowder. “These are the earliest type of grenade used by British soldiers, who were selected for their strength and ability to throw them long distances,” local historian was was a ship of the Dutch East India Company, which colonized southern Africa and southeast Asia in the 17th and 18th centuries. Pirates off of Gibraltar captured the ship in 1683, and an English ship recaptured it from them. After that, the Schiedam became a carrier in the English fleet. It sailed to English-occupied Tangier in Morocco before England evacuated the city in early 1684. The Schiedam was transporting English military weapons back to England on April 4, 1684 when it ran aground at Cornwall’s Gunwalloe Church Cove and sank into the ocean, where it’s been ever since. The Schiedam has actually been “discovered” a few times since its demise. Divers first identified its remains in 1971, but the wreck was later covered up by sands on the seafloor. Divers then rediscovered the shipwreck in 2016. 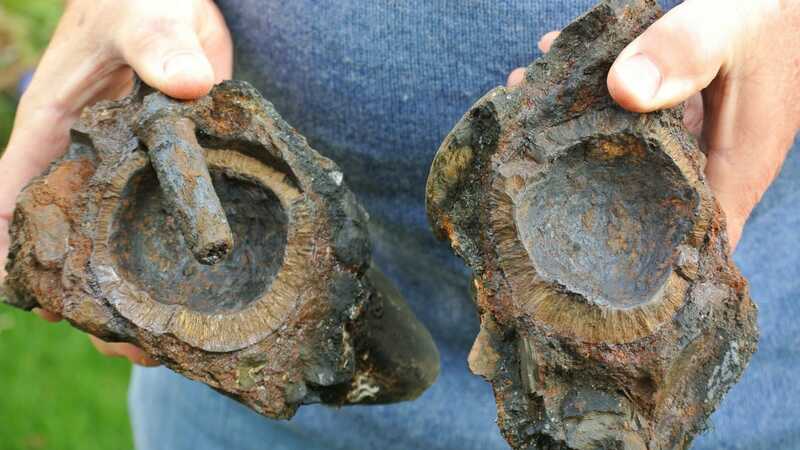 Since then, divers have identified 11 cannons, a gun carriage wheel and lead musket shot, in addition to the grenades that washed up on the beach. The Chinese spacecraft is the first to ever land on this unexplored area of the moon. Just before 10:30 am Beijing local time on January 3, the robotic spacecraft Chang’e 4 made a soft landing in the South Pole-Aitken Basin area of the moon, otherwise known as the “far side” or “dark side” of Earth’s only natural satellite. It is the first spacecraft in history to attempt or achieve a landing on this unexplored area, which is never visible from Earth. 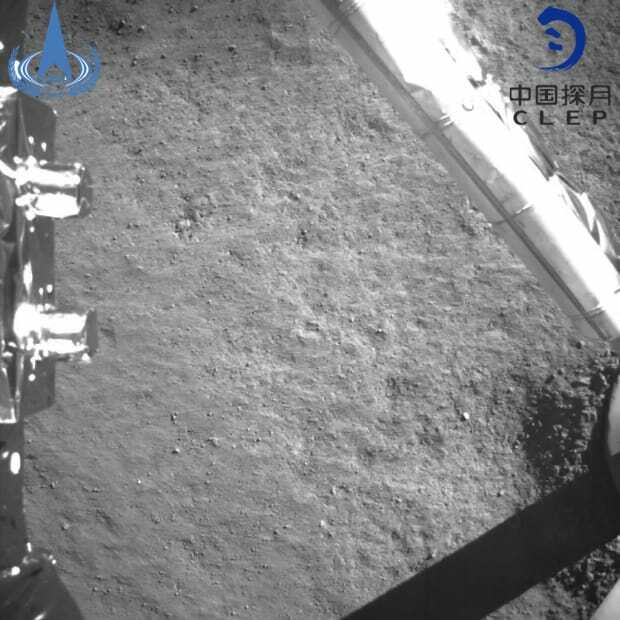 After keeping the details of the mission under wraps until the last minute, China announced the successful landing, and shared the first lunar images captured by the unmanned space probe via state media. As no direct communication link exists, the images had to be bounced off another satellite before being relayed back to Earth, BBC News reported. An image taken by China’s Chang’e-4 probe after its landing on the far side of the moon on January 3, 2019, becoming the first spacecraft soft-landing on the moon’s uncharted side never visible from Earth. The moon has been the object of human fascination—and scientific observation—for centuries. Although from our perspective it does not appear to spin, in reality the moon rotates about every 27 days, which is about the same amount of time it takes to orbit the Earth once. During this whole process, we can see only about 59 percent of the moon’s surface, while the other 41 percent—known as the “dark side” of the moon—is concealed from our view. Soon after the Soviet satellite Sputnik became the first spacecraft to orbit Earth in 1957, both the Soviet and U.S. space programs began focusing on the next great objective: the moon. The Soviet Union initially had more success, as its first two Luna probes made the first escape from Earth’s gravity and the first lunar impact in 1959. 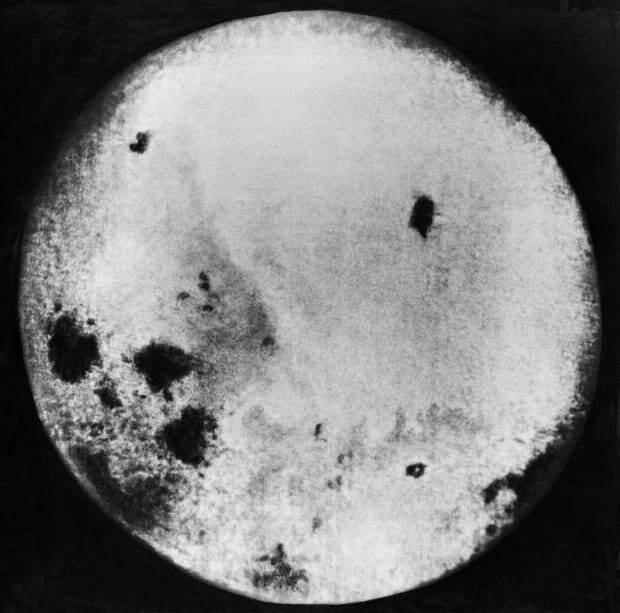 That same year, Luna 3 achieved another first, taking a photographic survey of the moon’s far side. Despite their grainy quality, these early images revealed that the previously unseen hemisphere had few of the smooth, dark spots that we observe on the moon’s surface. Scientists initially mistook these volcanic plains for lunar seas, and called them maria (from the Latin word for sea). Photograph of the far side of the moon taken by the Luna 3 space probe on October 28, 1959. Initially built by the Dutch to stave off the English, Wall Street evolved to represent much more than a Manhattan address. Wall Street runs for a short eight blocks in lower Manhattan and is headquarters of America’s financial markets. But Wall Street is far more than a location—it has been adopted as a term to describe all U.S. financial institutions and U.S. economic power. It has been portrayed alternatively as powerful, hot-shot, corrupt, greedy, excessive and bullish. Below is a timeline of the location—and all that it has come to represent—through history. • 1652: During the Anglo-Dutch Wars, hostilities between England and the Netherlands spilled over into North America. The Dutch settlers of Manhattan Island, called New Amsterdam at the time, feared England was planning to attack and constructed a wooden wall as defense. Costing the settlement 5,000 guilders and constructed from 15-foot planks and dirt, the wall was 2,340 feet long and nine feet tall. It featured cannons and spanned between two gates, one located at what is now the corner of Wall Street and Pearl Street, and the other on Wall Street. and Broadway. Called “de Waal Straat,” the earthen part of the structure came from earlier fortifications built to defend against possible attacks by Native Americans and pirates. The labor on the wall is believed to have been performed by slaves. After a half century, the wall fell into disrepair and was slated for demolishment but was instead restored in 1693 in fear of a French invasion. It was finally demolished in 1699. • December 13, 1711: Wall Street was made the site of the government-sanctioned slave market in New York City. In operation until 1762 at the site of one of the original Wall gates on Pearl Street, the market was a wooden building that provided the city with tax dollars from the active trade inside. 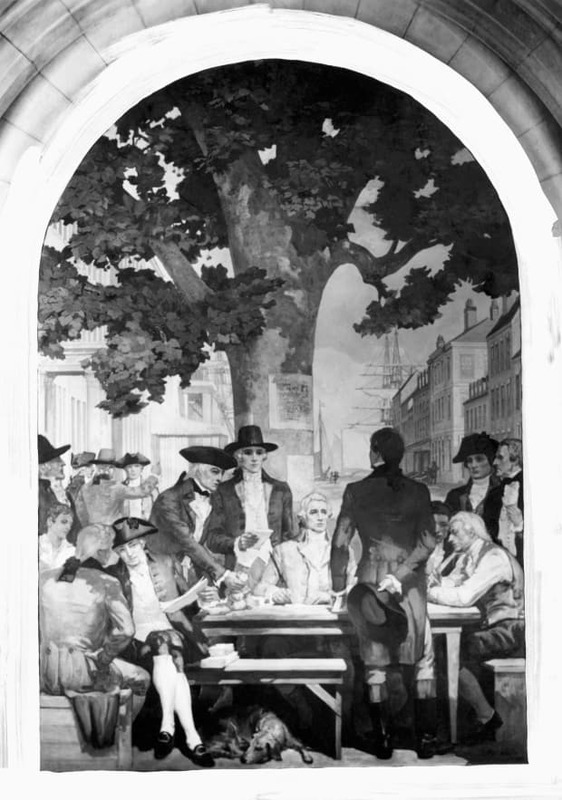 • 1731: A first attempt at creating a public library was made by the Society for the Propagation of the Gospel in Foreign Parts, located in City Hall on Wall Street. On this day in 1990, Panama’s General Manuel Antonio Noriega, after holing up for 10 days at the Vatican embassy in Panama City, surrenders to U.S. military troops to face charges of drug trafficking. Noriega was flown to Miami the following day and crowds of citizens on the streets of Panama City rejoiced. On July 10, 1992, the former dictator was convicted of drug trafficking, money laundering and racketeering and sentenced to 40 years in prison. Noriega, who was born in Panama in 1938, was a loyal soldier to General Omar Torrijos, who seized power in a 1968 coup. Under Torrijos, Noriega headed up the notorious G-2 intelligence service, which harassed and terrorized people who criticized the Torrijos regime. Noriega also became a C.I.A. operative, while at the same time getting rich smuggling drugs. In 1981, Omar Torrijos died in a plane crash and after a two-year power struggle, Noriega emerged as general of Panama’s military forces. He became the country’s de facto leader, fixing presidential elections so he could install his own puppet officials. Noriega’s rule was marked by corruption and violence. He also became a double agent, selling American intelligence secrets to Cuba and Eastern European governments. In 1987, when Panamanians organized protests against Noriega and demanded his ouster, he declared a national emergency, shut down radio stations and newspapers and forced his political enemies into exile. That year the United States cut off aid to Panama and tried to get Noriega to resign; in 1988, the U.S. began considering the use of military action to put an end to his drug trafficking. Noriega voided the May 1989 presidential election, which included a U.S.-backed candidate, and in December of that year he declared his country to be in a state of war with the United States. Shortly afterward, an American marine was killed by Panamanian soldiers. President George H.W. Bush authorized “Operation Just Cause,” and on December 20, 1989, 13,000 U.S. troops were sent to occupy Panama City, along with the 12,000 already there, and seize Noriega. During the invasion, 23 U.S. troops were killed in action and over 300 were wounded. Approximately 450 Panamanian troops were killed; estimates for the number of civilians who died range from several hundred to several thousand, with thousands more injured. Noriega, derogatorily nicknamed “Pineapple Face” in reference to his pockmarked skin, died in Panama City, Panama, on May 29, 2017.